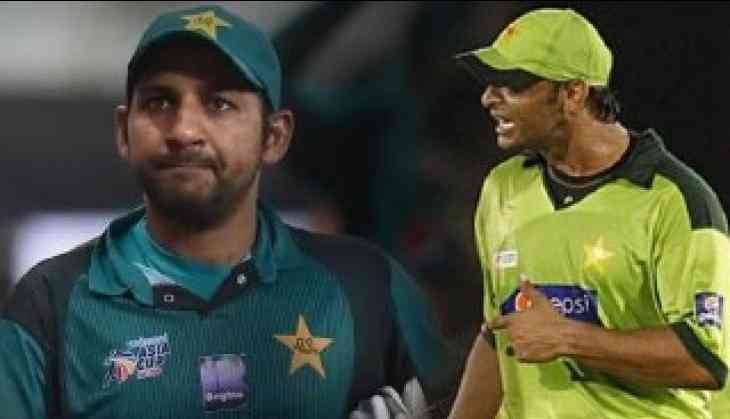 Home » cricket news » The war of words between Shoaib Akhtar and Sarfaraz Ahmed over the latter's 'Abey Kaale' remark will blow your mind! The war of words between Shoaib Akhtar and Sarfaraz Ahmed over the latter's 'Abey Kaale' remark will blow your mind! Pakistan skipper Sarfaraz Ahmed has been handed over a four-match ban by the International Cricket Council (ICC) over his racial remark against South African cricketer Andile Phehlukwayo shocked the cricket world. Sarfaraz Ahmed apologised for his racist comment but faced criticism from around the world. One of which came from his former teammate and Pakistan’s legend cricketer Shoaib Akhtar. Akhtar said that with four-match suspension, Sarfaraz has gotten off easily. Akhtar posted a video on his Twitter account and said, "This is not acceptable as a Pakistani. In my opinion he did this in the heat of the moment. I think he should apologize publicly". Skipper Sarfaraz Ahmed seems to be unhappy about what Shoaib Akhtar said, Sarfaraz as quoted by Geo TV said, “He [Shoaib Akhtar] is attacking me personally not criticising". As the issue raked up, the batsman had apologised personally to Andile Phehlukwayo and had also issued a public apology.